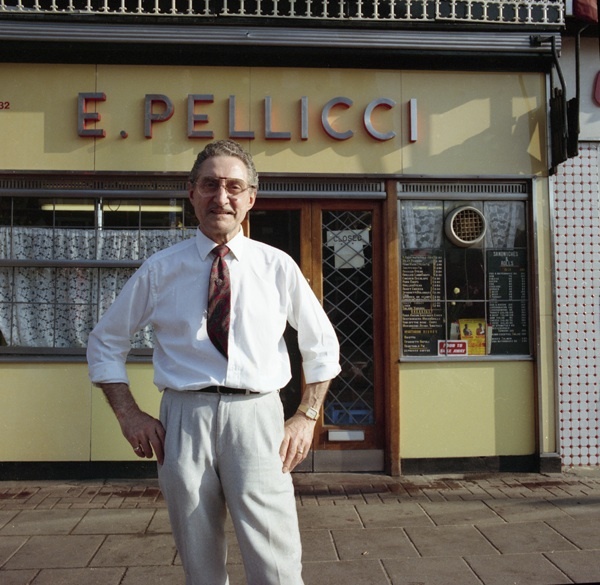 If you were to go to E. Pellicci at 332 Bethnal Green Rd in 1990, you would have been welcomed by Nevio Pellicci and if you were to go back this week you would be greeted by Nevio Pellicci. 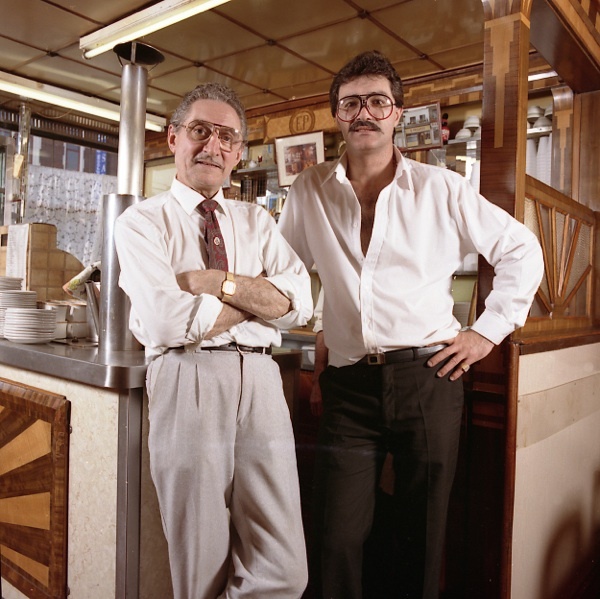 You would recognise many of the staff from before and the cafe would be almost identical to your previous visit. 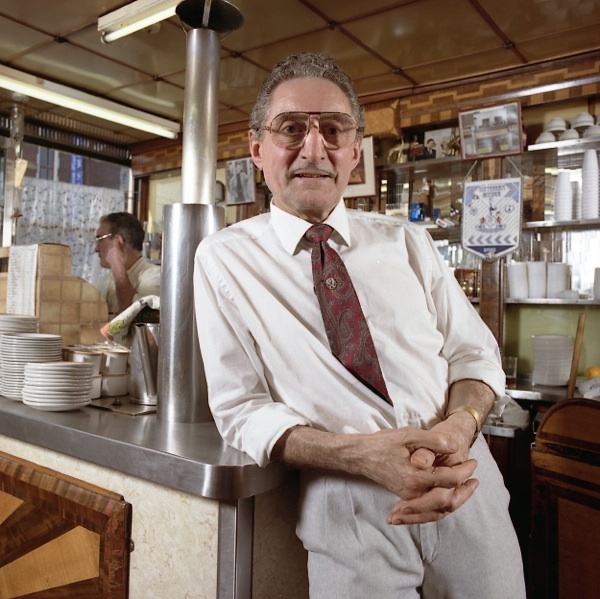 Yet it would be a different Nevio Pellicci that welcomed you in this new century, working alongside his sister Anna, as one generation has passed away to be succeeded by another at London’s most celebrated family-run cafe, in business since 1900 and still going strong. 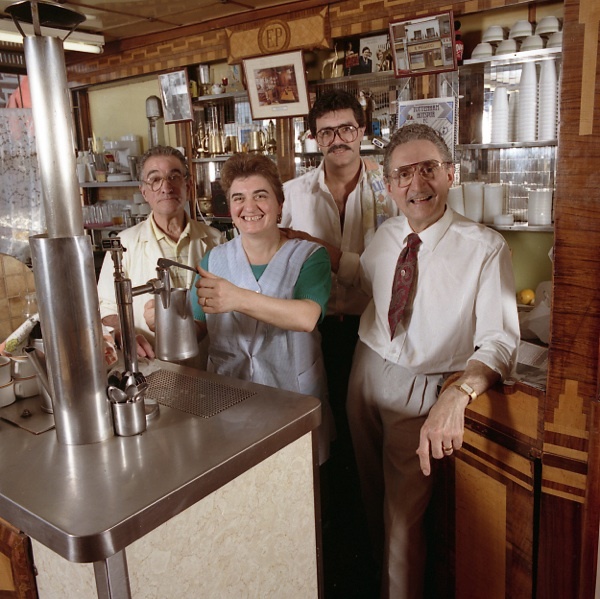 Salvatore (known as Tony), Maria, Nevio and Alfie. 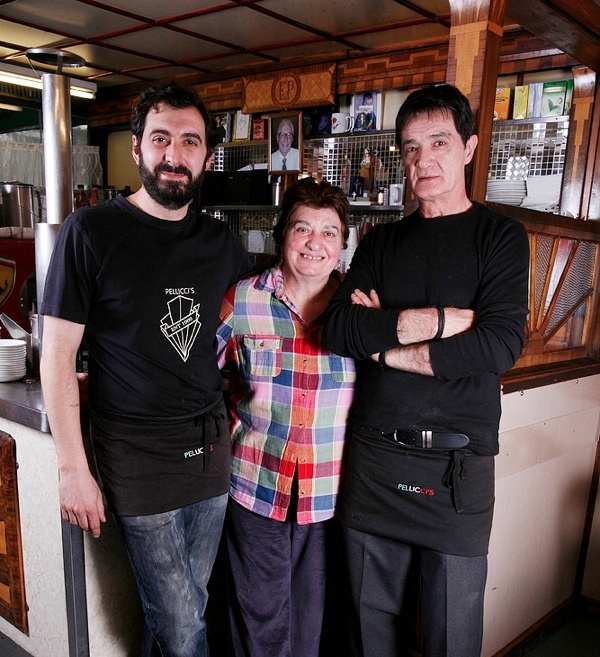 Alfie, Maria, Tony and Nevio. 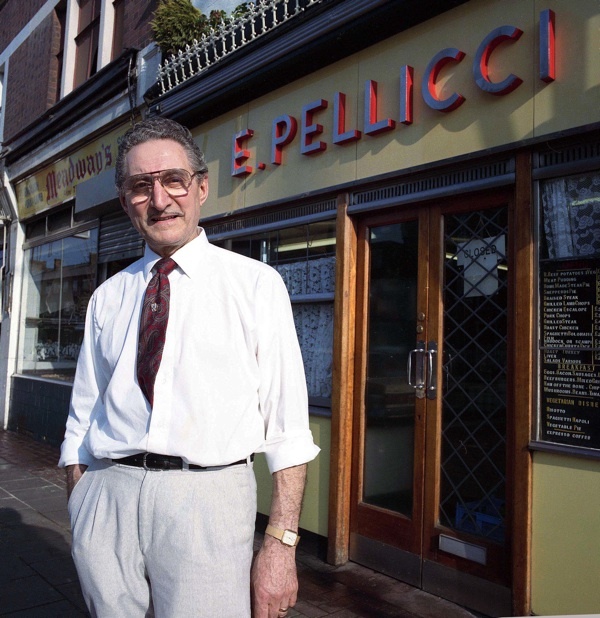 The clock is eternally ten to seven for Nevio Pellicci senior, flanked by his parents, Elide and Primo Pellicci, who ran the cafe before him. 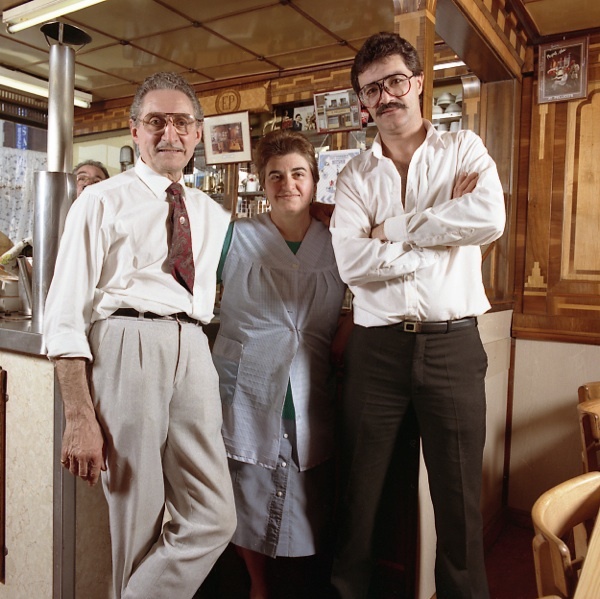 Nevio (senior), Maria and Tony at Pelliccis in 1990. 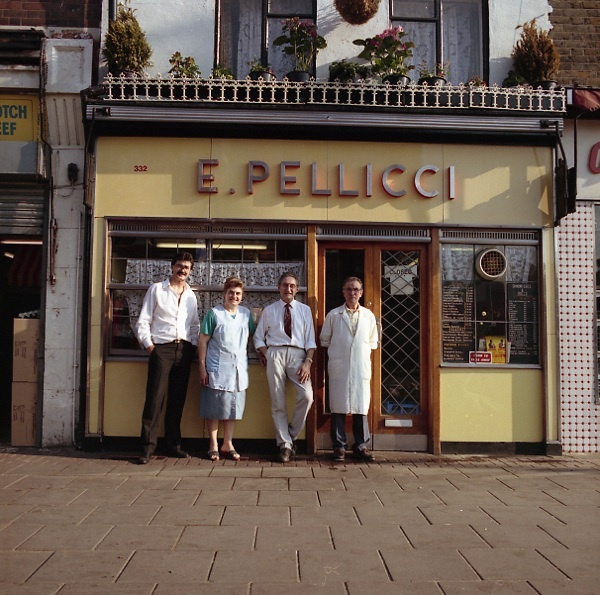 Nevio (junior), Maria and Tony at Pelliccis in 2012. 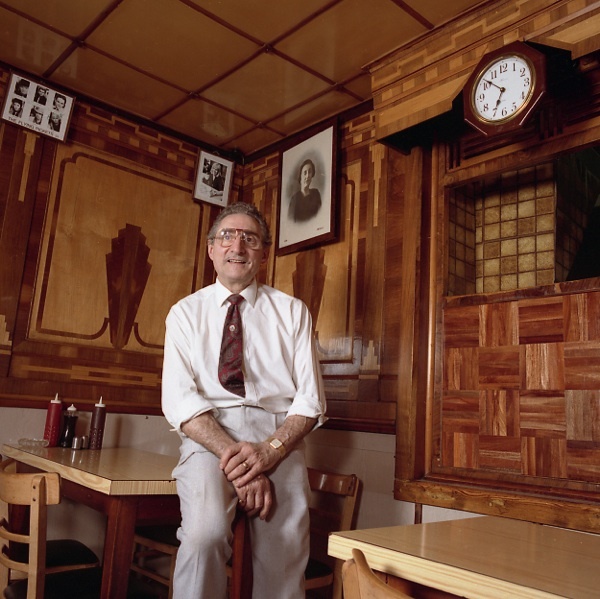 A fabulous record of the family – I must ask to see the mini-museum upstairs on one of my weekly visits.. 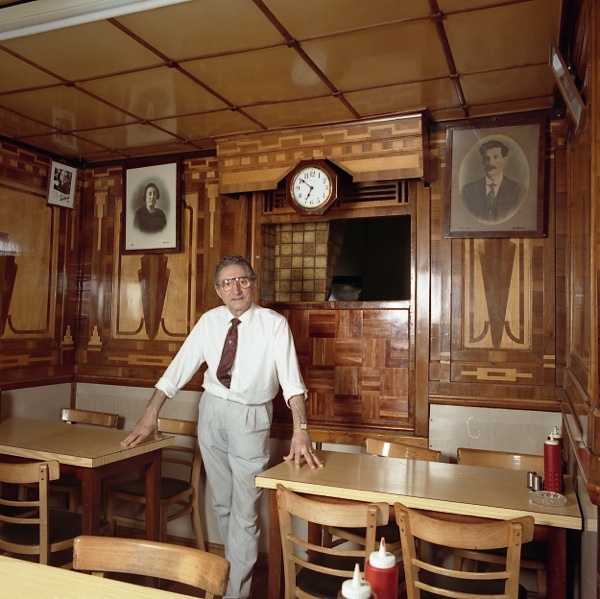 The third-last photo is funny, with Alfie craning his head to peek over Nevio Sr.’s shoulder.